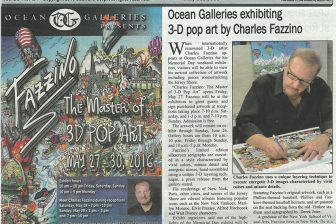 Charles Fazzino is the most popular 3-D artist in the world today. With hundreds of galleries exhibiting his pieces worldwide, he has gathered a loyal following throughout the United States, Europe, and Asia. His artwork can be found in the private collections of Presidents Bill Clinton and George Bush, Rosie O’Donnell, Morgan Freeman, Paul McCartney, Senator Hillary Clinton, President Tarja Halonnen of Finland, Michael Jordan, Andy Roddick, Tony Stewart, Julia Roberts, Katie Couric, Angel Cordero, Jr., and many other internationally renowned figures and organizations. As the creator of 3-D limited edition fine art silkscreen serigraphs, he is best known for his obsession with bright colors and wonderful detail, the frenetic energy that infuses his work and a unique hand assembled 3-D layering technique that brings his images to life. 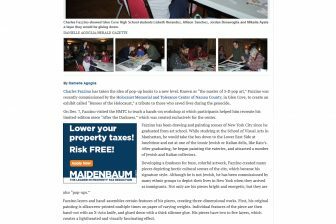 A graduate of the New York School of Visual Arts, Charles Fazzino’s popularity has soared over the course of his thirty-year-career. 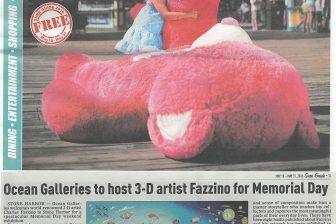 Most famous for his 3-D renderings of New York and countless other cities, Fazzino has also created masterfully vibrant and detailed tributes to such popular icons as The New York Yankees, Marilyn Monroe, Elvis Presley, Alfred Hitchcock and The Characters of Walt Disney. He has painted 11 Super Bowls for the National Football League, 6 All-Star Games for Major League Baseball, 5Daytime Emmy Award Ceremonies, 2 FIFA World Cup Tournaments, the GRAMMY AWARDS and was the official artist for the 2009 and 2010 President’s Council on Physical Fitness and The President’s Challenge. Japan’s Mt. Fuji Art Museum, the “Today Show,” The City of Fort Lauderdale, FL, The Kraft Company in Greece, the City of Boeblingen, Germany, The United States Tennis Foundation, The Sands Hotel/Casino, The Mohegan Sun Casino, the Indianapolis Colts, the Green Bay Packers, and Swiss National Television, are among the organizations that have commissioned Fazzino originals. In 2010, he completed a permanent installation for American Airlines for their terminal at JFK International Airport in New York. See attached info on the 3-d process as well as his sketch for the signal light box. 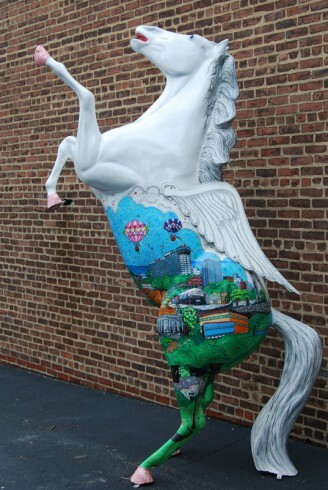 Charles Fazzino was the logo artist for our current Horsin’Around Downtown, as well as an artist for “Soaring Over Stamford” horse located in front of the Ferguson Library.